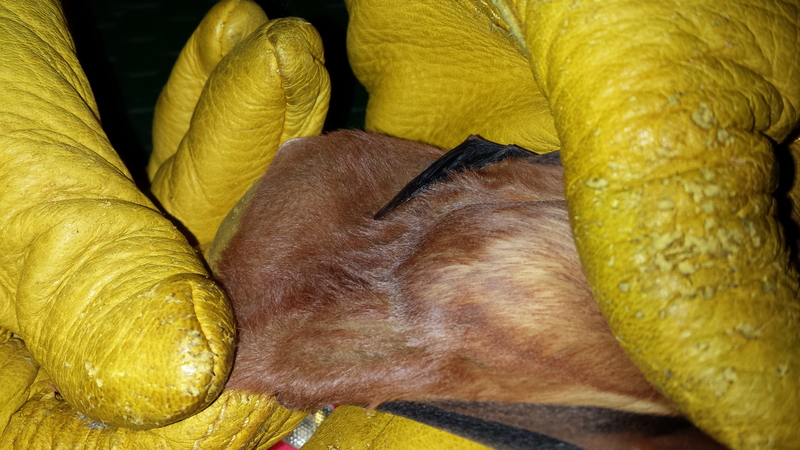 We were lucky enough to catch 3 red bats (Lasiurus borealis) in High Park this summer! 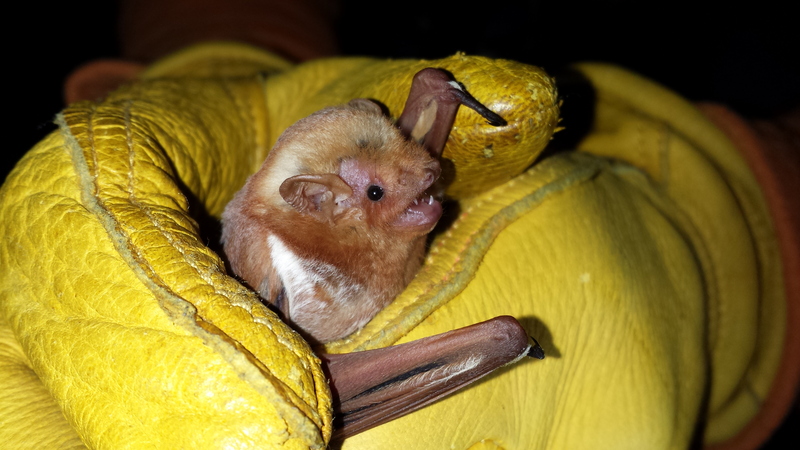 Like hoary bats, red bats migrate south for the winter and come here for the summer. Unlike most bats in Canada that form maternity colonies inside trees, rock cavities, or buildings, female red bats live alone in leaves on branches where they can give birth to as many as 4 pups at once. 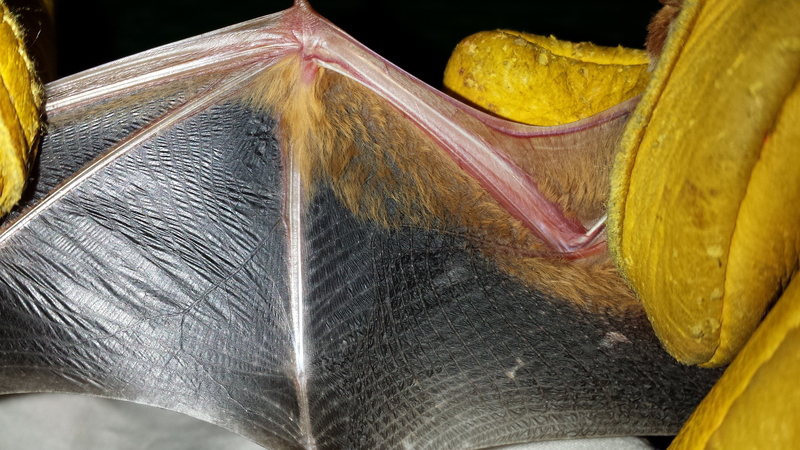 Since red bats live alone in leaves that aren’t very sheltered, they have fur on their tails and wings to help keep them warm on cool days.